Traditionally, an awning is a fabric which stretches and often retracts over a metal structure for the purpose of providing shade to a building. You can get a freestanding, drop down, fixed, or retractable awning or just use an umbrella. But when it comes to accentuating the wooden deck, nothing compares with wood awning choices. 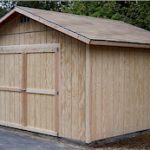 Why do you need storage sheds in your home garden? That’s the first question to answer before you buy anything. Today, there is a number of plastic and aluminum sheds out there. But when you order custom made wooden ones, you get exactly what you want in terms of size, structure, and appearance. And that’s the main reason why wood storage sheds are a far better choice than their counterparts.